Welcome to another edition of TINTYPE TUESDAY! This week, we’re off to see The Wizard of Oz on the big screen, courtesy of TCM and Fathom Events. For tickets, just click here! 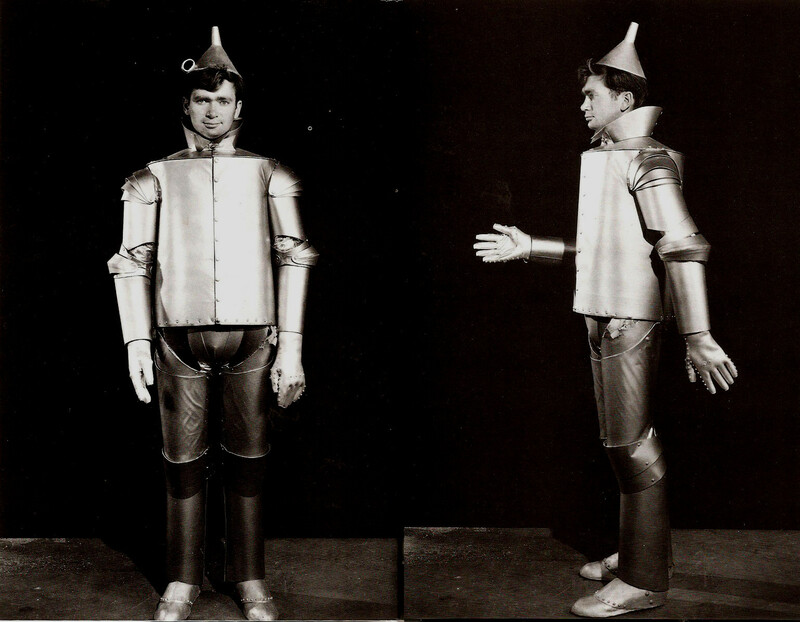 When Jack Haley, on loan from Fox, arrived to replace him, the make-up artists were much more careful: they protected his face with a thick layer of white greasepaint and diluted the aluminum powder into a paste. (Oh, and they never told him why his predecessor left the film—on a stretcher.) Ebsen didn’t vanish entirely, though: his voice can still be heard in the group vocals, as there was no time to re-record them. 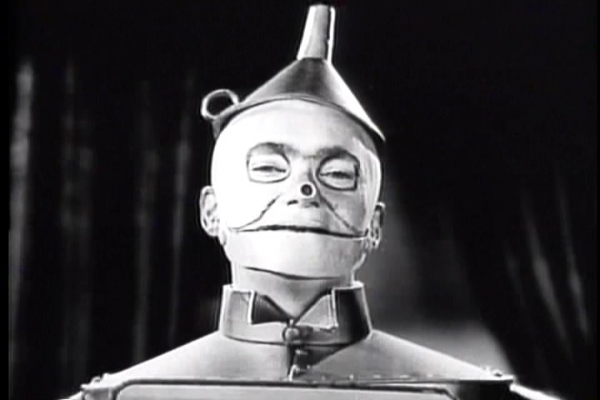 And given all the gruesome drama surrounding the Tin Man, perhaps it’s appropriate that they used chocolate syrup to produce his tears—a technique later used by Hitchcock for the blood circling the drain in Psycho. She didn’t get much more respect after she signed on: her dressing room was a makeshift canvas tent, while Billie Burke had a hideaway that MGM dreams are made of. “She had a pink and blue dressing room, with pink and blue powder puffs and pink and blue bottles filled with powder and baby oil—and pink and blue peppermints,” Hamilton later recalled, admitting that she sometimes popped in for a nap on the glamorous Glinda’s days off. And God knows she needed the rest, as she proved to be the second casualty on the set: In the scene where she seems to disappear in a cloud of fire and smoke, she very nearly did. At the last minute, a moving platform was supposed to lower her out of harm’s way, but her cape got snagged and she was trapped amid the flames—which fed on the greasepaint and copper makeup slathered on her face, arms and hands. Before she could be pulled free, the fire had seared into her skin, leaving her with second- and third-degree burns. 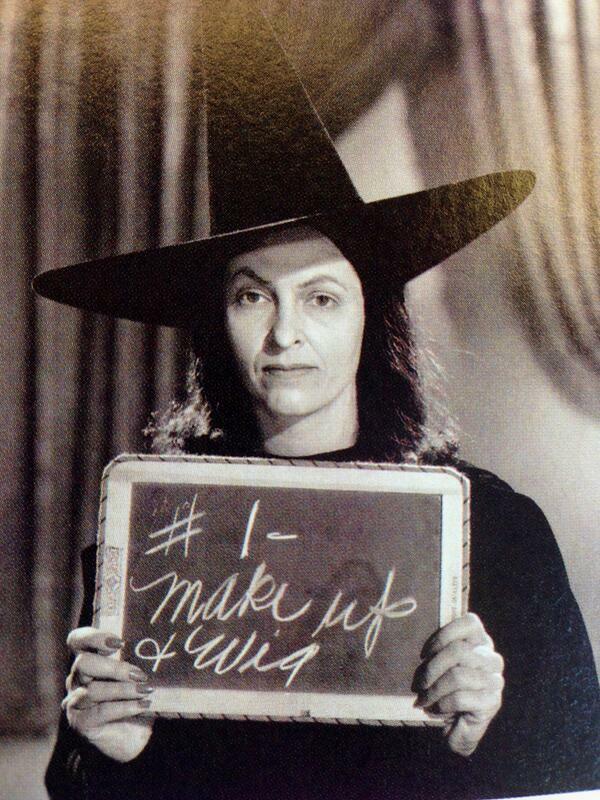 Wise woman that she was, she later refused to do a post-production pick-up scene that involved a flaming broomstick. So they had to make do with maiming her stand-in: the smoke mechanism exploded, burning and permanently scarring Betty Danko’s legs. The Wizard of Oz: After Ed Wynn refused the part because it wasn’t big enough, MGM turned to W.C. Fields, who thought the paycheck wasn’t big enough. During a few protracted rounds of haggling—they offered $75,000, he wanted $100,000—the producers burned while Fields fiddled. They finally gave out and offered the role to Frank Morgan. Oh and here’s a story you might have to close your eyes and click your heels together to believe, but some swear it’s true, and if it isn’t (which is probably the case), it should be: When wardrobe staffers went scavenging through second-hand stores to find the perfect tattered coat for Morgan, they returned with an armload of samples for Victor Fleming to choose from. He settled on one he thought conveyed just the right touch of “shabby gentility”—and, idly turning out the pockets, found a label with L. Frank Baum’s name on it. An MGM publicist reportedly contacted the tailor and Baum’s widow, who confirmed it was his (he did live in L.A. for a time), and the studio presented her with the coat at filming’s end. 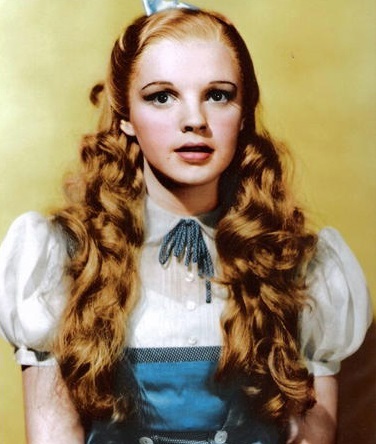 Toto: Shirley Temple may never have made it to Oz, but she did meet Toto five years before Garland did. 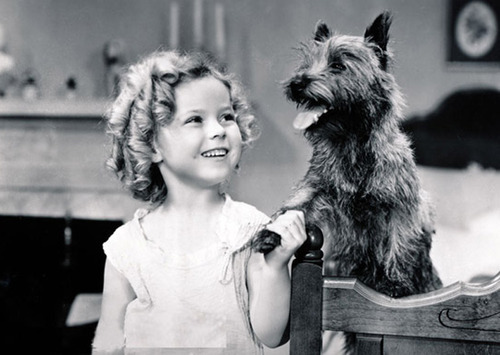 Terry the terrier appeared in 16 films, including Temple’s Bright Eyes, as well as Fury, The Women and George Washington Slept Here. In Tortilla Flat, she re-teamed with Morgan and Fleming, and in Twin Beds, she reunited with Hamilton. Her $125 weekly salary for Oz was more than double than that of the Munchkins, who each earned $50 a week. And as it turned out, Terry should have gotten combat pay: one of the Wicked Witch’s heavy-heeled henchmen stepped on her tiny paw and broke it, sidelining her for several weeks. 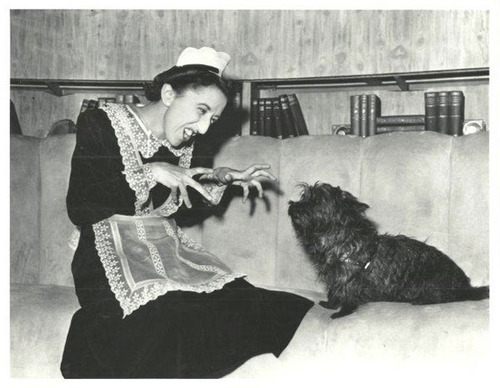 After filming, Garland, who’d fallen in love with the dog, wanted to adopt her, but the owner wouldn’t… surrender Terry. All of which bring us to the director. Or directors. Richard Thorpe, whose previous work consisted mainly of quickie westerns, was first at the helm, but LeRoy felt he was shooting the film more like a low-budget oater than a lavish fantasy, rushing scenes along and not giving the production the care it deserved. While he searched for a replacement, LeRoy left the project in the tender hands of George Cukor—who, in his brief stint as caretaker, made some critical changes. 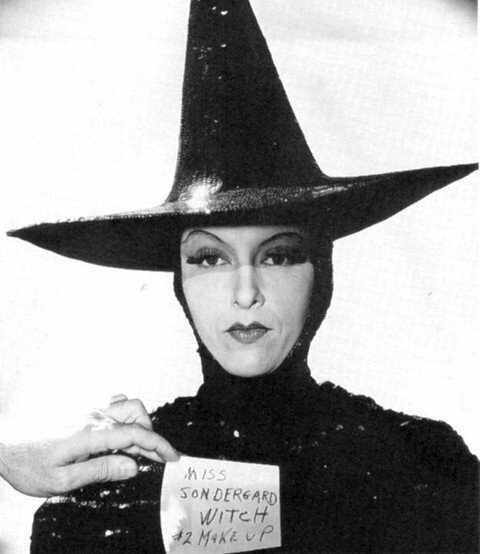 First, he ditched Garland’s blonde wig and heavy glamour-girl makeup, which made her look ridiculous and feel worse. He also told Garland to relax and simply be herself—a lovely, vulnerable teenage girl—which was just what the part called for. 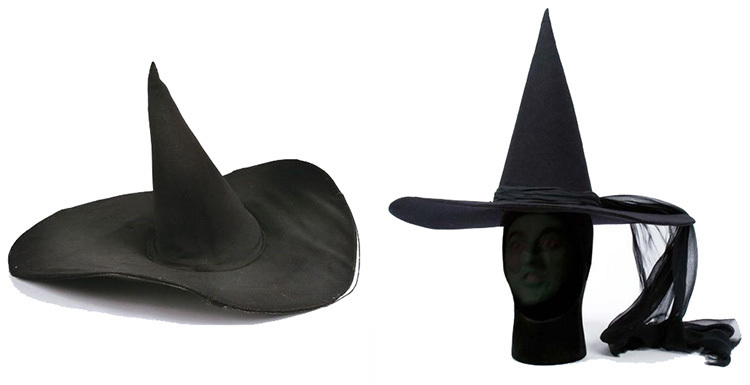 Then he did something less crucial but pretty fabulous: he brought in Adrian to design the Wicked Witch’s costume. Which, if you peer beyond the black-on-black, is a real work of art, with its lace bodice, cut-out mutton sleeves, and pouch dangling fetchingly from the hip. To her pointy hat, Adrian added a long, silky-sheer scarf that floats menacingly behind her, like an ill wind. Cukor was never meant to stay on when production began in earnest; he was due over at Gone with the Wind. 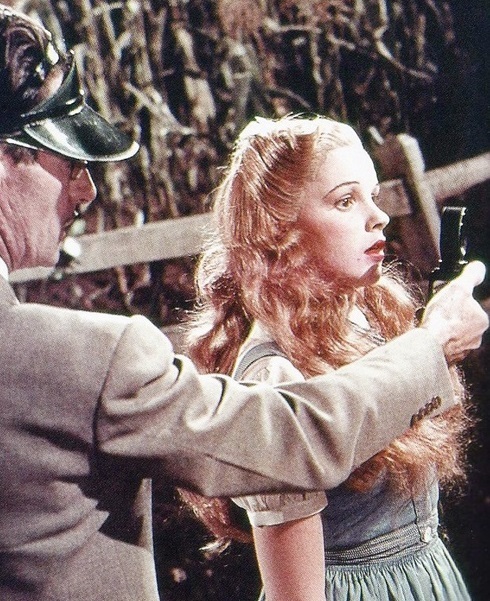 Victor Fleming took the reins in October 1938, and oversaw everything but the sepia-tone scenes (including the Over the Rainbow number) that book-end Dorothy’s adventures in Oz. But the following February, he was called away suddenly… to direct Gone with the Wind after Cukor was fired. Fleming’s close friend King Vidor came aboard to gently shepherd the crucial Kansas scenes through to completion, but never publicly acknowledged his involvement until after Fleming’s death in 1949. And as if Fleming didn’t have enough on his mind during the shoot, he also had to protect Garland from her scenery-chewing companions on the Yellow Brick Road, seasoned old vaudeville pros who were none too excited about surrendering the spotlight to her (as she laughingly recalls in a clip from The Jack Paar Show, below). Ironically, her only close friend on the set was Hamilton, a former kindergarten teacher who gave her some much-needed mothering. Whew! 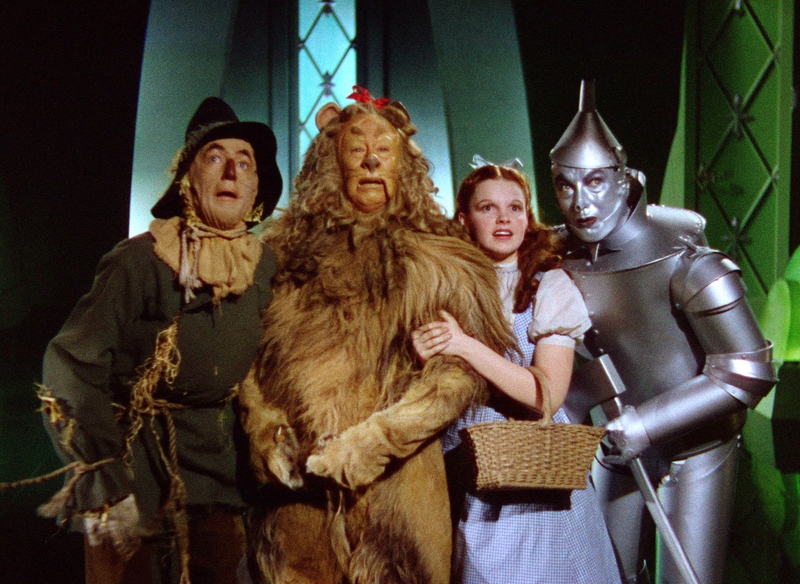 There’s enough material behind the scenes of The Wizard of Oz for a whole other movie… but in the meantime, enjoy seeing the original again on the big screen! TINTYPE TUESDAY is a weekly feature on Sister Celluloid, with fabulous classic movie pix (and backstory!) to help you make it to Hump Day! For previous editions, just click here—and why not bookmark the page, to make sure you never miss a week? You might be interested in this link to an episode of “Good News of 1939,” which was basically an hour-long variety show that plugged MGM stuff. 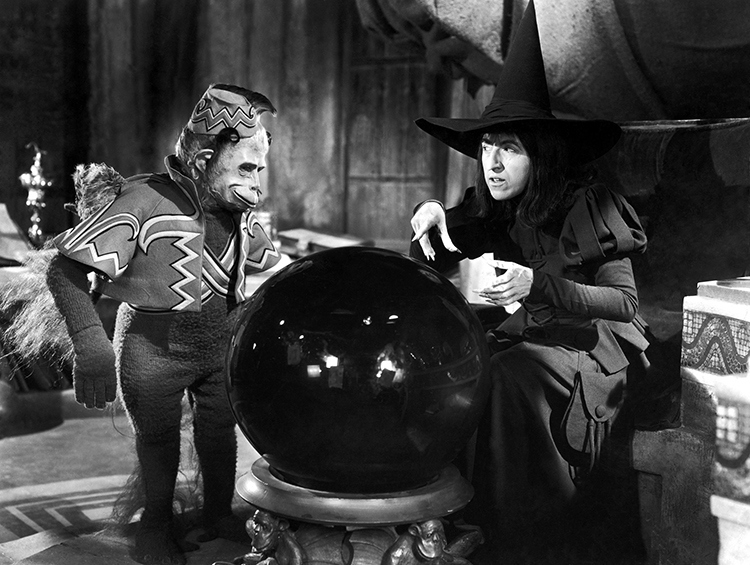 The episode focuses on “The Wizard of Oz,” with appearances by some of the people involved. A little after the 36-minute point, there’s a segment featuring Ray Bolger and Fred Stone.